WGTO-1955-Top 40 “Gulf To Ocean” and "Gainesville to Okeechobee"
WGTO-1958-Top 40 "Covering Florida Like Sun"
WGTO-1977-Country Western "Great Country Music 54"
WGTO was conceived by the owners of KWK, Inc. out of St. Louis. 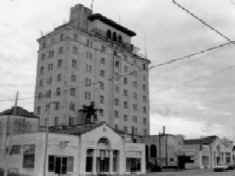 1955-WGTO took to the air from The Pine Crest Hotel in Haines City. 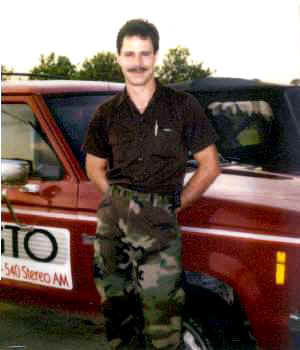 Licensed to broadcast with 10,000 watts of power at 540 on the dial. The format was Top 40. 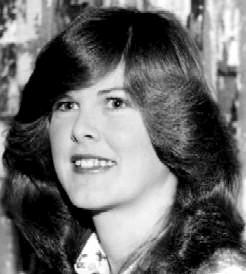 1978-WGTO was named Billboard Magazine's "Small Market Station of the Year"
1986-WGTO was sold to Cypress Broadcast, Ltd. and the format was changed to "gospel". 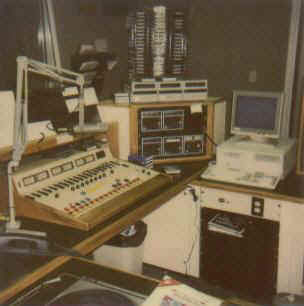 1990-WGTO sold to Florida Media Inc. (a company owned by two Fort Myers doctors and a lawyer) the studios were moved to Ocoee. 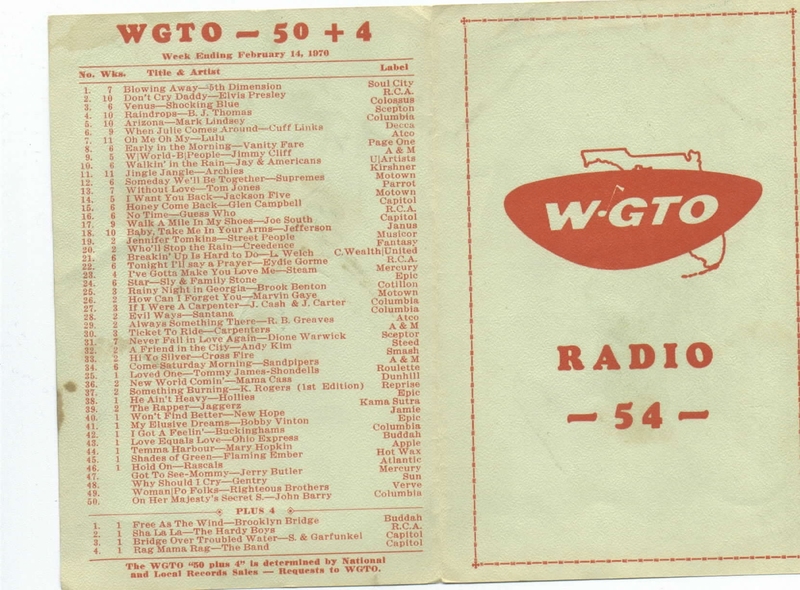 1992-WGTO went to a satellite service, resulting in the layoff of 30 employees including Rocky Dee, Russ Ross (Original Doo-Wop Shoppe), Allan Brady (Music and Memories). Perry Moore would remain at the station in sales. 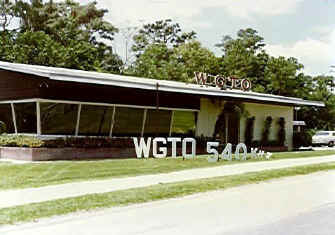 1994-WGTO was sold to Paxson Broadcasting, the call letters were changed to WWZN and the format became sports talk. 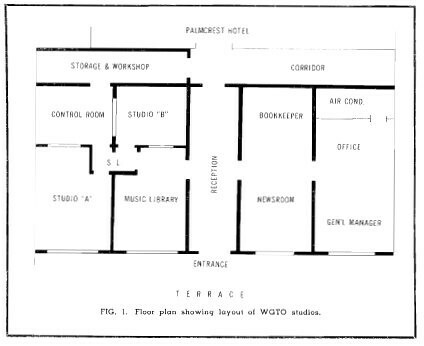 "WGTO is located in the center of a group of metropolitan areas as contrasted to the more usual establishment of a station in a principal city of its own. Its coverage, on 540 kc, encompasses such major cities as Gainesville, Daytona Beach, Orlando, Lakeland, Tampa, Clearwater and St. Petersburg. 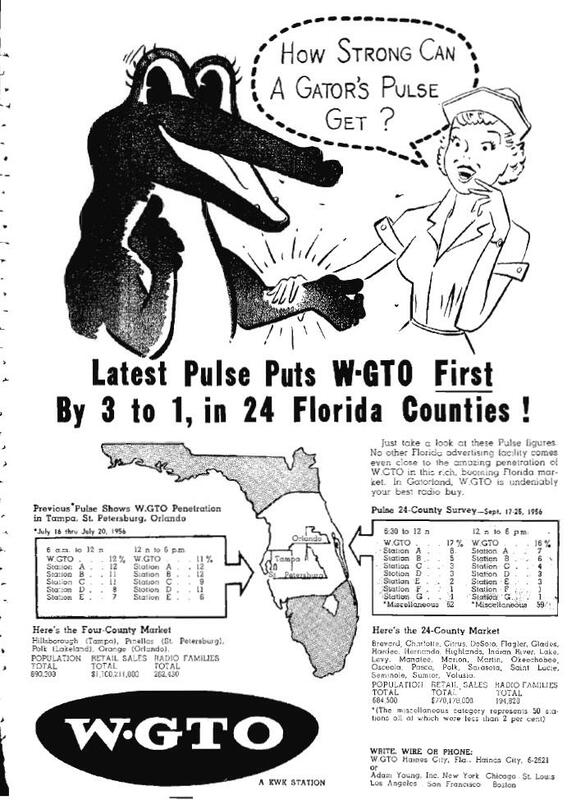 This area, covering the more populous sections of Central Florida, extends from Gainesville to Okeechobee and from Gulf to Ocean hence the call letters WGTO. 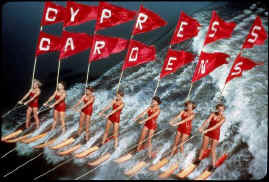 Robert J. Wright-1990-Mornings-Florida Media Inc.
Kathy McFarland-1990-Morning News Anchor-Florida Media Inc.
"Captain" Joe Canzoneri-1990-Traffic Reporter/Weekends-Florida Media Inc.
Hank Dole-1990-Assistant Program Director-Florida Media Inc.
Ric Karlson and Ed Schmidt Jr.-1993-Co-hosts of Golf Talk- Fridays 4PM- 5PM-Florida Media Inc.
Peter Banks-1993-Host of "Singles Connection", a talk show for singles-Florida Media Inc.
Gordon Banta-1993-Co-host and psychic on "Singles Connection", a talk show for singles-Florida Media Inc.
Doug Gilley-1993-Host of "Let's Go Fishing"-6AM-7AM-Florida Media Inc.
Steve Duff-1993-Producer of "Let's Go Fishing"-Florida Media Inc.
Ed Hartley-1993-"Cryin', Lovin' & Leavin'"-Florida Media Inc.
Roy Dady-1955-Director of Operations-KWK, Inc.
Eugene Hill-1955-General Manager/Commercial Manager-KWK, Inc.
Frank tells us about his time at WGTO-AM. 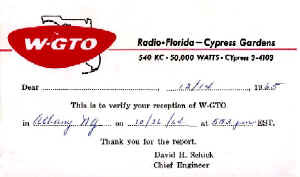 "...During my tenure at WGTO, I replaced almost all of the studio equipment and, when the old RCA BTA 10H transmitter failed, I replaced the transmitter with a Harris MW-1A to provide better nighttime service at their 1kw licensed power level. 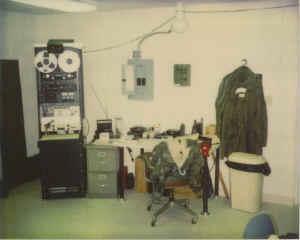 The night that the old RCA transmitter failed, I put the Gates MW-50 transmitter on the air at its lowest stable power which was about 8kw. I was able to reduce the output power further by detuning the output network of the transmitter so that it produced about 1kw of power. 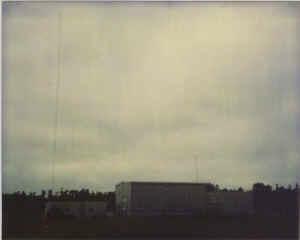 After we achieved stabile nighttime operation, I called Stanley Hubbard at home and explained that the old RCA transmitter had failed beyond reasonable repair. 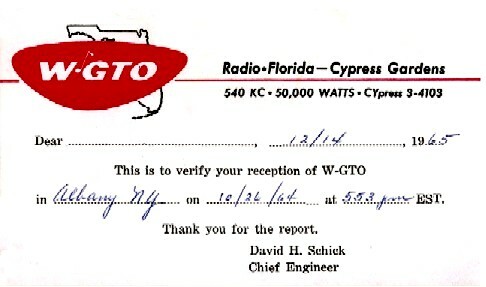 Stan authorized me to purchase a Harris MW-1A transmitter. I called Harris and ordered the transmitter and requested rush delivery. We operated in that mode overnight and before pattern change in the morning, I re-tuned the output network so that the station could operate at full power. 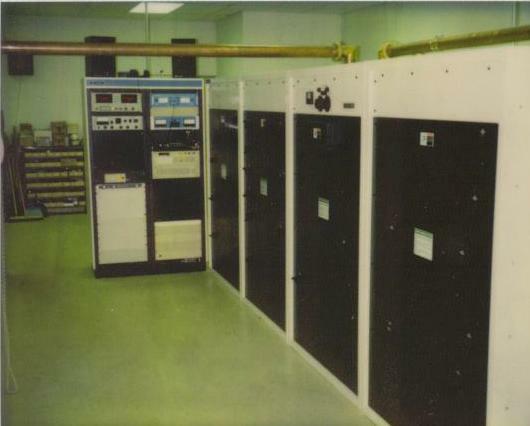 We went through these detuning/retuning gyrations for two or three days until the new MW-1A transmitter arrived. 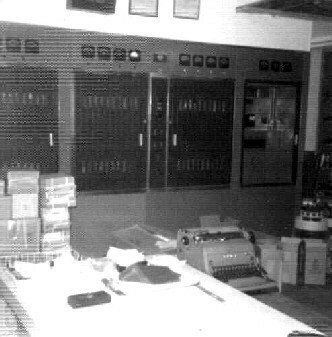 During the time that it took to receive the new transmitter, we removed the old RCA 10kw unit and moved the nighttime phasor into its new position...directly beside the soon-to-be-delivered Harris MW-1A. Before moving the phasor, I called our Consulting Engineer, Ogden Prestholdt of A. D. Ring and Associates and told him of my desire to move the phasor. Mr. Prestholdt told me "absolutely not. 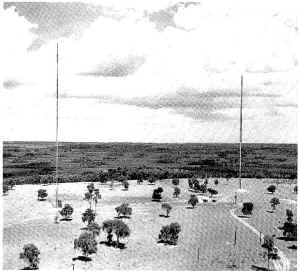 You don't have the knowledge to re-tune the antenna array". I moved the phasor anyway and retuned the array. 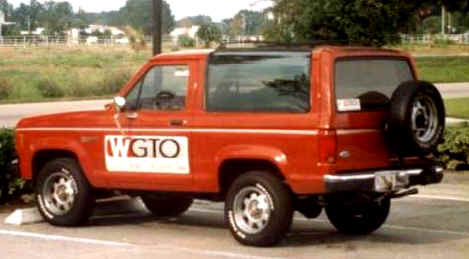 It remained stable and within the licensed specifications throughout my tenure at WGTO..."
Howard Hoffman-1990-General Manager-Florida Media Inc.
Keith Feeney-1990-Accounting/Traffic Manager-Florida Media Inc.
Bill Patti-1990-Creative Services Director-Florida Media Inc.
Mark Anderson-1990-General Sales Manager-Florida Media Inc.
Bob Johnson-1991-General Sales Manager/General Manager-Florida Media Inc.
Frank Berry took this photo of the original WGTO transmitter in 1975. It was an RCA BTA-10H which was purchased in 1955. 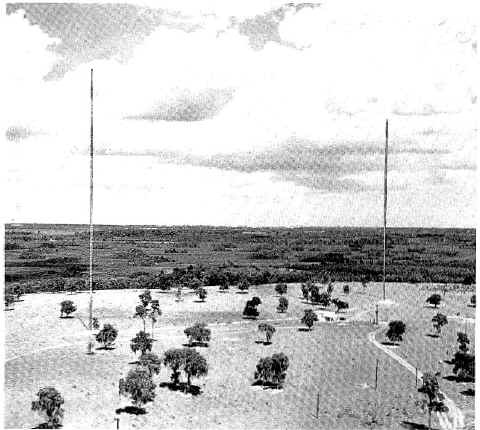 The photo was taken as the old RCA Ampliphase transmitter was being dismantled for shipment to Guayaquil, Ecuador. 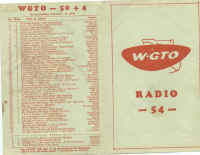 The 10H was on the air as WGTO's only transmitter at the time this photo was taken. The boxes in the photo contain parts for the old RCA BTA 50G Ampliphase. 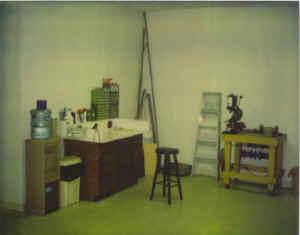 On the far right of the photo you can see one of the power amplifier tubes.